Calcium pyruvate, also known simply as pyruvate, is a compound produced by a combination of the salt form of pyruvic acid and calcium. Your body produces pyruvate during the breakdown of protein and carbohydrates. The compound also occurs naturally in foods like cheese, red wine and beer. According to the University of Michigan Health System, supplementing with pyruvate may aid with weight loss and enhance athletic performance, though more research is needed. Do not take calcium pyruvate until you've spoken to your doctor about the possible side effects. Calcium pyruvate supplementation may cause gastrointestinal side effects such as gas, flatulence, diarrhea, bloating, an upset stomach and audible gurgling from the stomach and intestines. However, Dr. Ron Kennedy, a physician in Santa Rosa, California, points out that the study subjects who reported these side effects were taking extremely large doses of pyruvate, up to 100 grams at a time. Other studies using less pyruvate were not strongly associated with digestive problems. A study published in 2005 in "Nutrition" measured the body composition and athletic performance of 23 women taking 5 grams of calcium pyruvate twice daily for a month. While the scientists did not find a significant link between fat loss, increased athleticism and calcium pyruvate supplementation, they did report that the women experienced a decrease in their HDL, or "good," cholesterol levels. 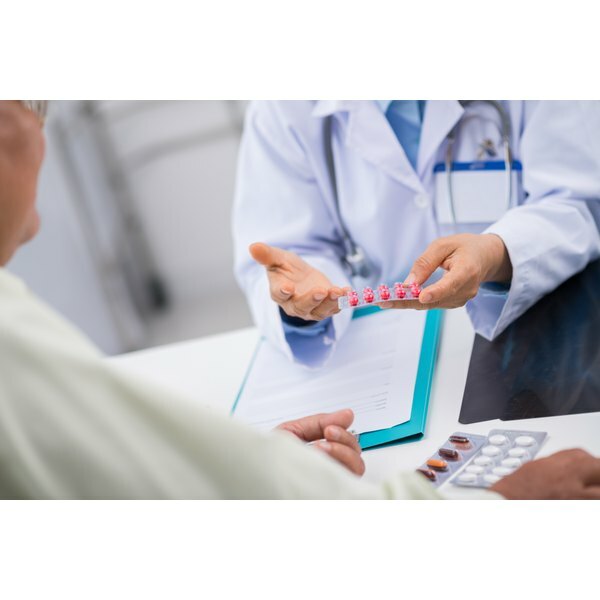 NYU Langone Medical Center describes the connection between calcium pyruvate and HDL cholesterol as weak, and more research is needed. Over-the-counter calcium pyruvate supplements are not inspected by the U.S. Food and Drug Administration to ensure they are free of contaminants such as potentially harmful chemicals or metals. If you take a calcium pyruvate supplement containing one of these contaminants -- especially if you regularly take large doses such as those used in some of the research studies -- you may cause damage to your kidney, liver or heart. Ask a professional for help finding a reputable brand of calcium pyruvate if you decide to take the supplement, and don't take more than the recommended dosage. There is little evidence about the effect of calcium pyruvate supplementation on pregnant or nursing women, young children or people with liver or kidney disease. Studies have not shown that it is safe for them to use the supplements, or how much they can take for how long without side effects. In addition, it is not known whether calcium pyruvate interferes with the function of certain prescription medications or interacts harmfully with other dietary supplements.